This metal framed register stand has a bonus showcase. 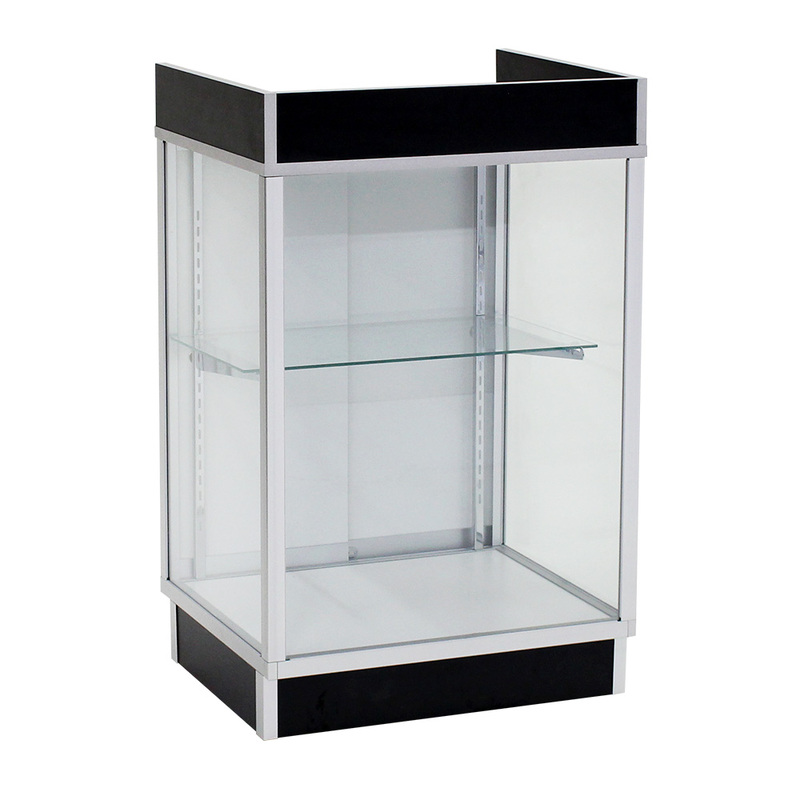 Counter is made out of a durable melamine laminate finish with a metal finished edge banding and a bottom anodized aluminum frame. 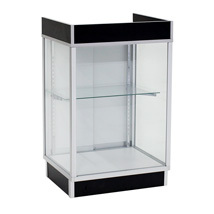 Showcase has an adjustable glass shelf to display your premium products. Sliding back doors for easy access and lock for added security.